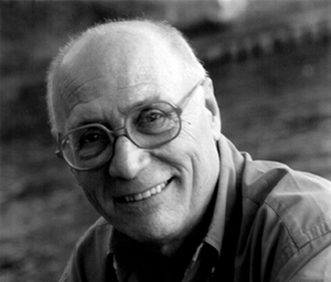 Pietro Maria Castiglioni, a.k.a. Piero, graduated in architecture in Milan in 1970. After his first working experiences and his participation in several international events, he dedicated himself to lighting design, the design of light fixtures and teaching. From 1973 to 1979 he was co-owner of the Via Presolana Studio, together with his father Livio (1911-1979). Here the “Scintilla” system was created, which was then produced industrially from 1983. His work as a designer for various companies in the field has remained a constant part of his activity, with models designed to fulfill particular lighting needs and be inserted seamlessly into architecture, concealed inside its furnishings. Lighting projects for both the private and public sectors form the daily activity of the studio, together with a commitment to teaching in university courses both in Italy and abroad, the divulgation of themes connected with light and lighting, participation in professional associations, congresses, conventions, conferences and round tables, as well as contributions to the published work of the industry. United Arab Emirates - Dubai - Private House - General lighting - w/ Studio D.A. Italy - Milan - Via del Gesù - General lighting - w/ A.E.M. Italy - Milan - Galleria and Corso Vittorio Emanuele - General lighting - w/ A.E.M. Italy - Milan - Castello Sforzesco, ducal court's museum rooms and Rocchetta courtyard - General lighting - w/ A.E.M. Italy - Milan - Basilicas' Park - General lighting - w/ A.E.M. Italy - Santa Margherita - La Cervara - General interior and outdoor lighting - w/ Montanino S.r.l. Italy - Milan - Bigli Street - Morone Street - General lighting - w/ A.E.M. Italy - Morbegno - S. Antonio's church - "Valtellina e mondo alpino" - General lighting - w/ Arch. T. Shimura, A.E.M. Italy - Rome - Ministry for Cultural Heritage - "Memorabilia" - General lighting - w/ Studio D.A. Japan - Tzoukuba - International Expo '85 - "CEE Pavilion" - General lighting and special effects - w/ Studio D. A.
Italy - Saint Vincent - Casinò de la Vallée and Hotel - Common parts and restaurant lighting - w/ Studio D.A. Italy - Verona, Rimini - Ilford - "Camera chiara" - General lighting - w/ Studio D.A. Italy - Milan, Former Stelline Palace - 1928 - 1978 Architettura - General lighting - w/ Studio D. A.
France - Paris - Louvre Museum - "45 years of Domus" - Audiovisuals and general lighting - w/ Studio D. A. 2002 - Italy, Rome - C.N.R. (National Research Council), head scientist for research into "Lighting design for Museums: criteria and guidelines"
Portugal, Lisbon - First prize for "Espa os Publicos da EXPO 1998"
International - Second place for " City people light award 2004"
Italy, Catania - Premio Designer for "Catania Talenti & Dintorni XII Edizione"